Chennai-based Ubiquitous Foods Pvt Ltd, which runs bakery chain Ovenfresh, has raised an undisclosed amount in funding from existing investor Kalaari Capital. The latest funding takes the total amount raised so far to Rs 25 crore ($3.8 million), The Economic Times reported. The money will be used mainly to expand its internet-first restaurant brand Eatfresh, it said. The company plans to ramp up its operations in Bengaluru and enter Chennai, Hyderabad and Pune markets, the report said, citing founder Rajiv Subramanian. Emails sent to spokespersons for Kalaari Capital and Ubiquitous Foods did not elicit any response till the time of filing this article. The brand, launched this August, operates a full-stack model and offers Indian and international cuisine in a daily rotating menu at nearly 20 locations in Bengaluru. It first prepares its food in a commissary kitchen and then sends its products to 10 distribution hubs. The company claims its seven-year-old retail bakery chain Ovenfresh caters to 10,000 customers a day at 50 locations in Chennai and Bangalore. 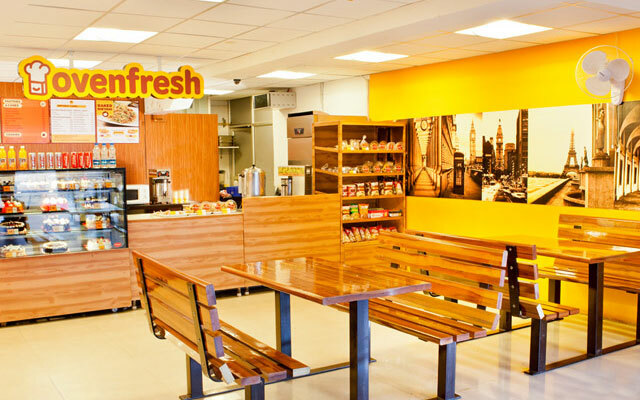 Ovenfresh was set up in 2008 by Subramanian, an IIM-Ahmedabad alumnus and former investment banker who worked with Lehman Brothers. Kalaari Capital is an early-stage, tech-focused VC fund. It had picked up a significant minority stake in the company in 2013. In October, Kalaari and Sequoia Capital invested $10 million in a Series B round of funding in Mumbai-based Cryptopy Technologies Pvt Ltd, the company behind broker free rental accommodation listing platform Grabhouse.com. Kalaari Capital was formed in 2012 by founders of Indo US Venture Partners. It raised an investment fund worth $150 million for the Indian market the same year. Bulk of the money came from limited partners out of North America. Kalaari, in a recent filing with the US Securities and Exchange Commission, said that it was raising $275 million through two new fund vehicles. It is likely to raise a $200 million VC fund—Kalaari Capital Partners III—and the rest through Kalaari Capital Partners Opportunity Fund. The VC firm provides capital to early-stage companies operating in India and US across sectors like technology, clean technology, healthcare, education, pharma, food and beverages, technology-enabled services, media and entertainment and retail. It typically invests between $1 million and $5 million in its portfolio companies. Eatfresh Kalaari Capital Advisors Pvt. Ltd. Ovenfresh Ubiquitous Foods Pvt. Ltd.